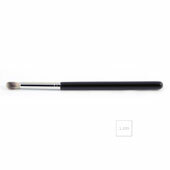 This fluffy brush is used to apply shadow to the crease, to contour, as well as to blend out a smokey eye. It is ultra-soft and perfect for creating that classic eye. Copyright Lilywhite Organics. All Rights Reserved. eCommerce Software by 3dcart.